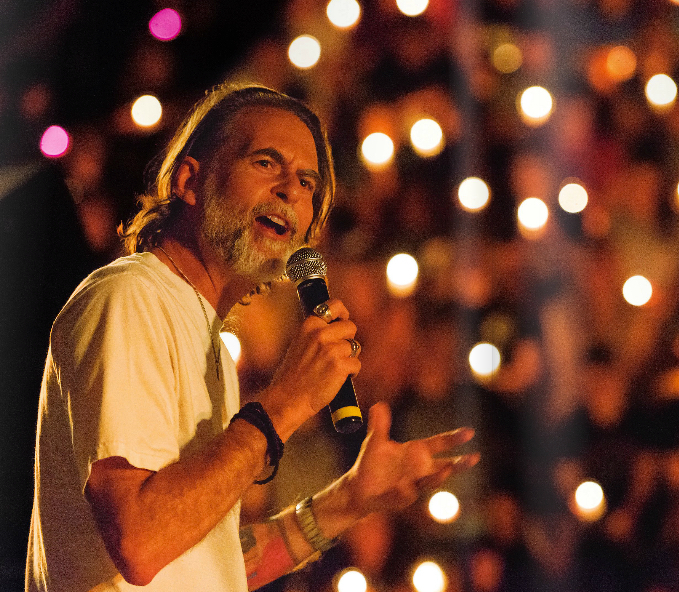 As regular readers know, structured prayer is what saved and rehabilitated my prayer life. The Book of Common Prayer has been my constant companion. Using the BCP I pray the Morning and Evening Offices along with Compline before going to bed. Sometimes, especially during Ordinary Time, the long, mainly summertime, season of the Liturgical Calendar where not a lot is happening, I switch from the BCP to simply praying through the psalms. I use the Paraclete Psalter for this, which takes you through all the psalms in a four-week cycle, dividing the psalms up into Lauds (Morning Prayer), Midday, Vespers (Evening Prayer) and Compline. Monastically speaking, the "work of God" is simply praying the psalms. So a large part of praying with The Book of Common Prayer is simply praying the psalms each day. Recently, I've jumped over to the Catholic equivalent of the BCP, the Liturgy of the Hours. This is no small jump. The Liturgy of the Hours, also called by Catholics the Divine Office or Breviary, is like the BCP in that it gives you structured prayers for the Morning Office, Midday prayer, the Evening Office, and Night Prayer (Compline). The biggest difference is that the Liturgy of the Hours is a four-volume set as opposed to the single-volume BCP. The Liturgy of the Hours takes you through the entire Liturgical year. Volume I is the Advent and Christmas seasons, which start off the liturgical year. Then you move to Volume II which covers the Lenten and Easter seasons. From there you move into Ordinary Time, with Volume III covering Weeks 1-17 of Ordinary Time and Volume IV covering Weeks 18-34. What are the costs and benefits of using the Liturgy of the Hours versus The Book of Common Prayer? The first cost is, well, cost. 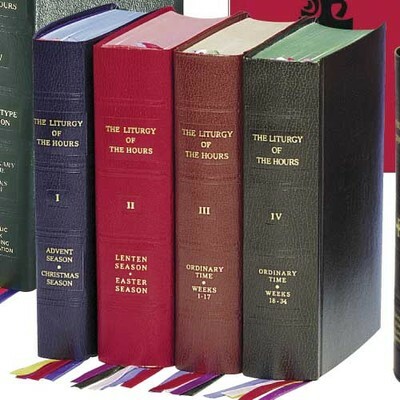 You need to buy a four-volume set to pray the Liturgy of the Hours. On Amazon that set runs about $120. Though you can shop around for better prices and used editions. An option here is to buy the single-volume Christian Prayer, which runs around $25. You could call Christian Prayer the Catholic equivalent of the BCP when it comes to having one book in your hand for praying the Offices. Christian Prayer takes the morning, midday, evening and night prayers from the larger 4-volume Liturgy of the Hours and puts them all into one book. So if you want to experiment with praying the Offices with a Catholic prayer book I'd start off with Christian Prayer. The second cost of switching to either the Liturgy of the Hours or Christian Prayer is that navigating these books is not very intuitive. 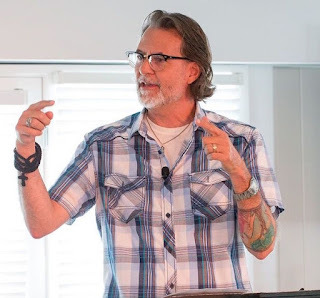 It's hard to locate where you should be and what you should pray and there is a lot of flipping around, going to this page to read an Invitatory Psalm or that page for a reading and then flipping to another page for something else. To be sure, you have a lot of flipping around in the BCP, but it's worse in The Liturgy of the Hours and Christian Prayer. For example, so you can be prepared, when I first got these prayer books I spent a good couple hours flipping through them and figuring them out. I even watched YouTube tutorials to help. The thing I found most helpful were online versions of the Liturgy of the Hours so that I could check to see if what I thought I should be praying on a given day was, in fact, what I should be praying. Now, if you're wired like me all this figuring stuff out is fun and exciting. What could possibly be more fun than figuring out a liturgical puzzle and learning new things about the Christian faith! But if you're a person who hates figuring stuff out then stay away from The Liturgy of the Hours. For people who want something easy and straightforward, just read the Psalms or pick up Phyllis Tickle's three-volume set The Divine Hours. But if you're a liturgical nut, like I am, puzzling out how to use The Liturgy of the Hours and Christian Prayer is great fun. Okay, then, so what's the benefit of using The Liturgy of the Hours versus The Book of Common Prayer? The main benefit is that The Liturgy of the Hours provides a richer experience of the liturgical calender. Which is the main reason why the thing is so big. In The Book of Common Prayer you do move through the liturgical year, but this mainly affects only the edges of the Morning and Evening Offices. For example, during Advent you might open the Morning Office by saying, "The glory of the Lord shall be revealed, and all flesh shall see it together." While during Lent you might say, Jesus said, "If anyone will come after me, let him deny himself, and take up his cross, and follow me." But for the most part the bulk of the Morning and Evening Offices remains the same day to day. The benefit to this standard and consistent presentation of the Offices is that the book can stay small. By contrast, when you pray The Liturgy of the Hours during a liturgical season, say Advent or Lent, the entire Office is filled with season-specific readings and responses and prayers. Praying through a liturgical season with The Liturgy of the Hours is a very deep and rich experience, each season with a very distinct texture. And for some of you another benefit of The Liturgy of the Hours is that it takes you through the various feast days and commemorations of the saints. For example, on July 11, the feast day of St. Benedict, you can pray the Office normally or you can add in prayers and readings remembering St. Benedict. But be forewarned, if you follow the feast days and commemorations you will be exponentially adding to the amount of page-flipping and date-tracking. To help with this annual guides are published for the Liturgy of the Hours to help you keep track of it all. Trust me, you'll need the guide. And while I love the saints, all this is a level of effort that I've balked at. I keep to the normal Office readings. My apologies, St. Benedict. So, here are some recommendations for readers interested in structured Catholic prayer. If you've been using the BCP for awhile and feel you need a change of pace, try out Christian Prayer or The Liturgy of the Hours. But here's my admonition: Don't start The Liturgy of the Hours (or Christian Prayer) during Ordinary Time. You'll miss their particular power. Start these prayer books at the beginning of a liturgical season, with Advent or Lent. Another suggestion. If you can't afford the entire The Liturgy of the Hours you might just get Volumes I and II, the volumes for Advent-Christmas and Lent-Easter. During Ordinary Time you can switch back to the BCP or simply read the psalms. That's all The Liturgy of the Hours ready does during Ordinary Time anyway, keep you in the psalms.